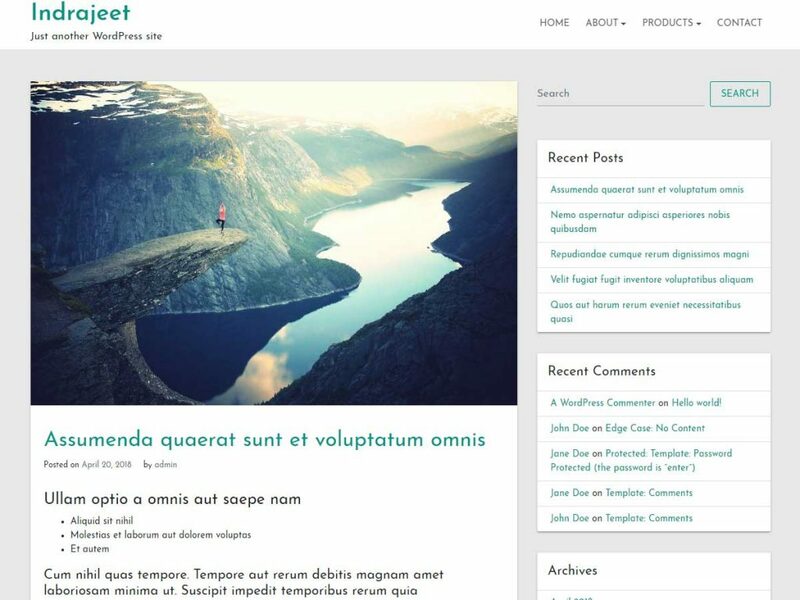 Indrajeet is a starter Material Design WordPress Theme based on the Bootstrap framework. Minimal and Clean WordPress Theme. Mobile-friendly (responsive), optimized for speed, and implements SEO (search engine optimization) best practices. The theme options are powered by Customizer. Indrajeet theme also has compatibality for Elementor Plugin, that adds ease to managing your pages and post with the help of drag and drop frontend builder. You can check out the demo for a closer look.